I’ve been speaking to former directors of the Edinburgh International Film Festival, an event I’ve been attending since the early 80s. In the wake of this year’s event, which was, to focus on the negative aspects, underfunded, sparsely attended, and roundly (though not always fairly) criticised in the press, I wanted to provide space for a debate about the fest’s future, and reminisce about its past with people who know it from the inside and love it. Those who don’t know Edinburgh and have no particular stake in the festival will hopefully still be entertained by the stories of the unusual history of the world’s longest continuously running film festival. MC: I’ll never forget David Cronenberg suggesting, minutes before we went on stage to an audience of 800 people, that we pretend that the clips of his film CRASH that we were about to screen were directed by some unknown filmmaker. He and I had to look at them and work out the personality of that filmmaker. It was an improved Scene by Scene, and the audience played along, and it was great. I recall, too, Shohei Imamura shedding a tear on the stage of the Cameo cinema when he saw the audiences’ reaction to his masterpiece tale of the Southern Islands. 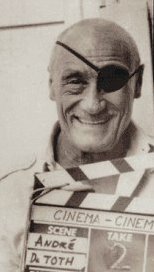 And I will not forget dragging up as Greta Garbo to be the date of the great Hungarian director Andre de Toth for the screening of PRISCILLA, QUEEN OF THE DESERT, only to discover that he had dated the real Garbo. DC: 2) What was the worst part of the job? Assuming there was one. MC: The worst bit was the routine, how locked my diary was – I had to be somewhere specific or do something specific each month. I would have preferred the schedule to have been more creative than that. It wasn’t the amount of work that was the problem, but its pattern. MC: It would have been great to have realised the Emerald Castle idea, yes. But we got SO much done, that I don’t really regret this one. DC: 4) You threw the best parties of any festival I can recall. What’s the secret, asides from hefty sponsorship? MC: Oscar Van heek and his team organised the parties. For my part I made it clear that the idea of play should be central to the EIFF experience – this is the sort of thing that Pat Kane writes about. The parties tried to create a mood, a sense of fun and, crucially, welcome which helped made the festival feel like an occasion. We didn’t have big sponsorship for them. DC: Recently, apart from producing a TV series based on his epic book The Story of Film, Mark has been involved with cinematic projects alongside Scottish movie phenomenon Tilda Swinton, notably The Cinema of Dreams, which can be characterized as nothing less than an attempt to set up a cinephile heaven on earth, for a limited run, in the town of Nairn in the Scottish highlands, and the 8 1/2 Foundation, aimed at bringing world cinema to schoolchildren. Another project was a flashmob in festival square, inducing hundreds of strangers to come together and do Laurel and Hardy’s dance from WAY OUT WEST. DC: 5) Yourself and Tilda were invited to offer suggestions as to how to enliven the festival this year. Some of them came in for a lot of stick in the media, and only a couple seem to have been taken up. Any thoughts on this? MC: Lynda Myles also suggested ideas. Our suggestions were radical and tried to rethink what a festival is, especially in terms of form – there’s never much discussion of the form of film festivals. It’s usually their content that is the issue. We were proud of our ideas – we called them All That Heaven Allows – and most people in the film world who saw the document endorsed it very strongly. I wasn’t at loads of the EIFF this year, as I am rushing to complete my film, but when I was there I saw none of our ideas on form realised. 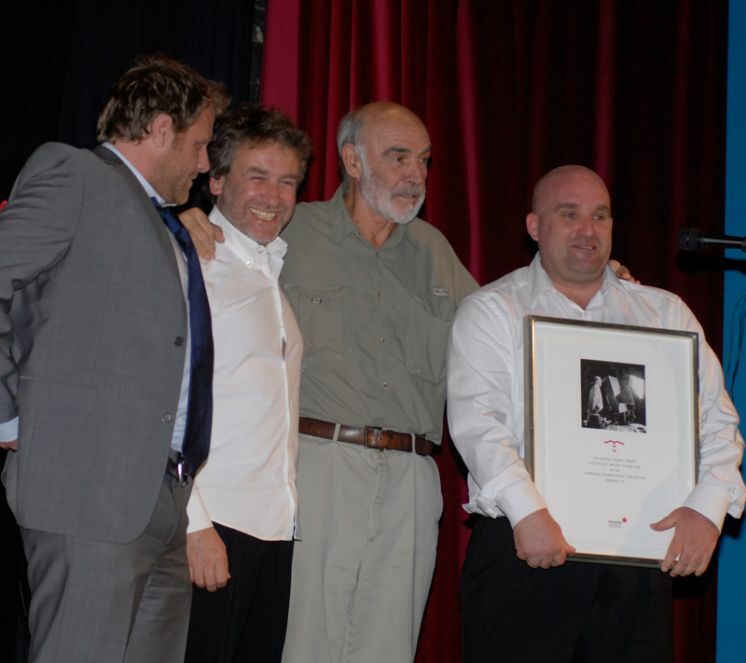 Shane Meadows and team receive the Michael Powell Award from festival patron Sir Sean Connery. DC: 6) One idea which was chosen was maybe my least favourite of your ideas: abolishing the Michael Powell Award (for best new British film). I can see that it was expensive to run, but would have preferred reducing the costs via a local jury rather than dropping it altogether, since awards help attract films, and what this year really needed was more strong films. Would you care to disagree? MC: Our suggestion to cancel the Michael Powell Award was nothing to do with budget! We neither saw the budget of the festival, nor asked to. All our suggestions tried to be about renewal and innovation. The Michael Powell Award was great – we said this clearly – but the EIFF needed and needs to keep ahead and replace previous approaches – even good ones – with exciting new ones. 7) The move to June has been much criticised this year, which seems like a red herring to me as it worked fine in the first year. Hannah has already written defending the move, but if you’d like to say anything about this (since I believe you proposed it during your tenure) I’d welcome more. MC: Yes, I was for a move when I worked at the EIFF in the mid 90s. As I recall, I suggested that immediately after Venice would be a good time – and that a partnership with the London Film Fest would work. I have never been convinced by the argument that the EIFF is not strong enough to stand outside August. It isn’t a baby lamb with quivering legs. I agree that the debate about June this year seemed like a non-sequitur. It got caught up in the other issue, about artistic direction. DC: 8) How do you think the festival should go on from here to win better press and bigger audiences? Should it cater to the industry or the public first? What do you see as the biggest problems? MC: I put my thoughts on these issues into the All That Heaven Allows document that Tilda and Lynda and I sent. Everything in the culture world should be led by passion and ideas, I think. 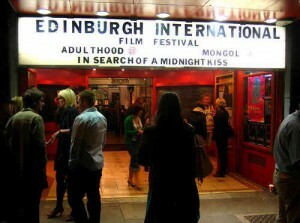 The EIFF should be passionate and ideasy about films and festivals. The question of how it caters for industry, etc is a second order one. Important but not defining. Whoever gets the job as artistic director must describe a bold, welcoming, exciting cinephile direction for the festival, and then the team must make it happen with enthusiasm and imagination. The biggest problem I think is that the film festival world is overcrowded and many of the fests are samey. See my attached short article on this. A secondary challenge is the shrinking of arts pagination in, and the partial demoralisation of, the Scottish press. Scotland’s festivals need great coverage – writers who see them in an international context. We have this to a certain degree but not enough. A third problem is the fact, that some of those who make the EIFF happen, from what I hear, are uncertain about how, or whether, the festival should change, and where they stand. I think there’s a degree of pulling in different directions. This lack of common cause has created dubiety and some rancour. The collective spirit has to return, because festivals are made with such spirit. The ancient idea of the festive is lovely. It’s a time in the year in which you live more fully. A festival is a world that, like Brigadoon, comes alive for a while, burls your brain, heightens your senses, allows you to commune with your fellow citizens. 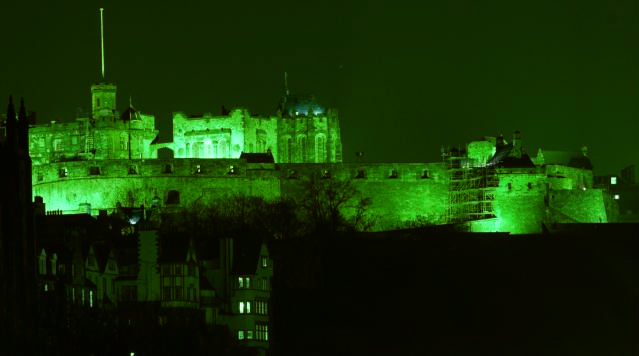 Edinburgh was, in 1947, one of the first places in the world to apply these ideas to the celebration of film. Our Edinburgh International Film Festival helped invent the form of movie festivals. It challenged snooty opinion that melodrama director Douglas Sirk was an empty populist. It played the bagpipes when hard-boiled American director Sam Fuller arrived at Edinburgh Airport. It rethought women in cinema. It had its own sense of style and glam – messy, ludic. In the 60s and 70s, more film fests joined the fray and by the 80s and early 90s a classic film festival form was set – red carpet premieres, competitions, juries, a retrospective, awards, VIP areas, industry events, panel discussions, etc. But since this standardisation, so much has happened. 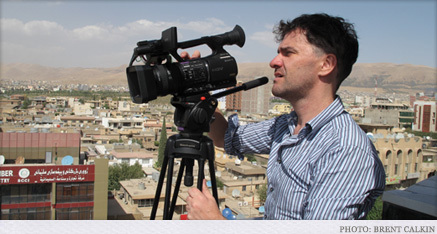 There are now about 2000 films festivals in the world – a five fold increase since the 80s. About 4000 films are made each year of which, at a guess, maybe 400 are great or exciting, so that’s 2000 fests chasing 400 films. 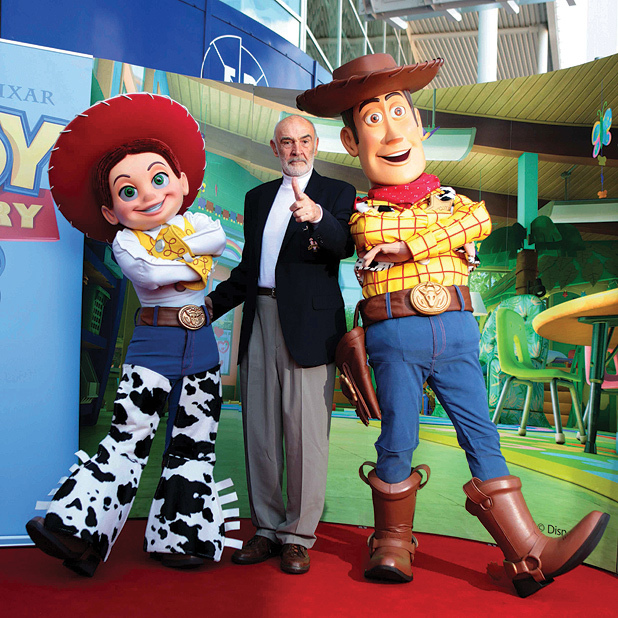 The digitisation of film, and the internet, has speeded film culture up and allowed instant connectivity between movie lovers and the film world. And, most of all, money has gotten in on the film festival act. Festivals these days are assessed for their economic impact and their attraction to tourists. Sponsors ask for and get events that flatter them. In return for funding film festivals, the film industry requires them to be a kind of funky shop window for their wares. In the light of all these changes, the standard form of film festivals needs updating. As an early innovator, Edinburgh should lead the way. Last year’s opening screening of The Illusionist, in which the film was encircled by a kind of circus, was a lovely move in that direction. David Puttnam’s keynote address at the 2009 festival, was a fabulous look into the future of film. Scotland is at the top of the UK, the brain bit. In a playful, enlightened way, the EIFF will in 2011, its 65th year, the year when it should be getting its pension, burl our brains, hoik its kilt, and shine a Stevenson lighthouse light into the crammed, gridlocked, moribund world of film festivals. Lynda Myles, who was EIFF director during one of its boldest times, and Tilda Swinton and I have been asked to help that rethink happen. We are honoured by the invitation. By the end of January we will have sketched what we think of as an outline treatment for a radically new, forward thinking EIFF. We’ll have invited some exciting guest curators. We hope our sketch will be a bit like a manifesto – campaigning, big-hearted, Scottish as hell in its subversive sense of humour, devotedly cinephile, open to the world. We hope it’ll help to create new rituals, new forms of festival – festivals have form as much as content. So, we’re just sketching the festival’s new form, under January skies – we aren’t its artistic directors or its overall guest curators, as has been reported, nor are we employed by the festival. Once we’ve done our bit, like all wise screenwriters, we’ll quietly retire and let the great staff interpret the script as they wish and put on the show. Last year Tilda and I launched a wee foundation for children in cinema, and the idea is now being replicated around the world. In a modest way, this shows that passionate, innovative ideas about film that originate in Scotland, can influence film culture around the world. The EIFF, this splendid treasure, can do just that. We are delighted to be part of its think tank. 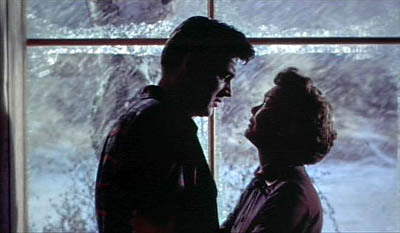 Douglas Sirk directed a masterpiece about being what you want to be, All that Heaven Allows. We’re naming the 65th EIFF’s transformation after it. Buy Mark’s book — The Story of Film Soon to be a major TV series!